I'm eating every item on the menu at Lavanda just to prove a point...there's not a bad meal on it. I'm on meal number 7 today. Sunday I had #4 - The Cazuela: A fried egg baked with mushrooms, potatoes and cheese topped with bacon, roasted tomatoes and coriander. The thinly sliced potatoes tasted like potato chips were baked into the dish. It was one of my favorite breakfast dishes. Monday I had #5 The Poached Eggs Ranchero style. 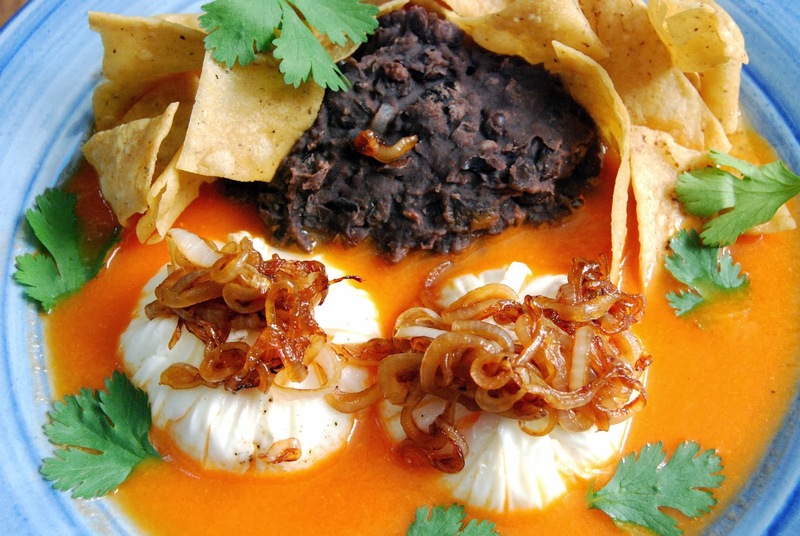 How does the chef makes these perfect poached eggs to look like little balls of Oaxaca cheese? Wondering about the artful presentation? 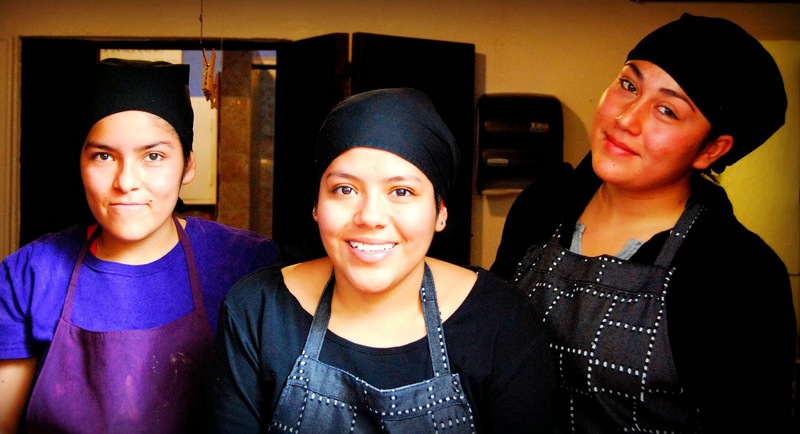 By training, Chef Karla is a graphic designer who is now masterfully creating some of the most delicious dishes in SMA and incorporating some of her mother’s recipes into the mix. Her mother's sauces absolutely made both the Cazuela and the Rancheros along with all of the other fresh ingredients. The ranchero sauce was spicy but not too hot and overwhelming like many ranchero sauces. Although I am always likely to order eggs, I had #6 - The Waffle on Wednesday. 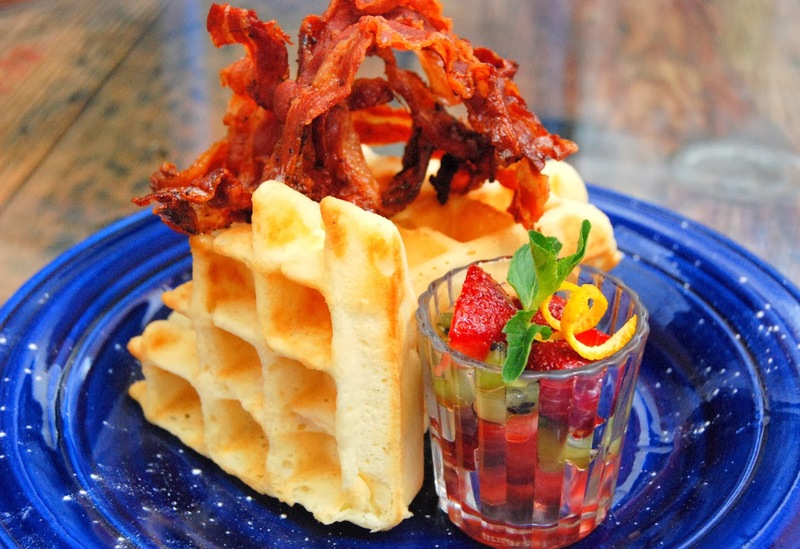 This was not your ordinary waffle but a lot lighter and beautifully presented with a mound of bacon. One thing for sure, if not for her superb cooking, Chef Karla will win over a legion of fans just for the amount of bacon she puts on your plate. Today#7 - Chilaquiles which I have never loved but this dish, made with a red sauce was really good and another one of mother’s magical sauces. This is the first time I've had Chilaquiles where it hasn't been totally soggy that I couldn't eat it. 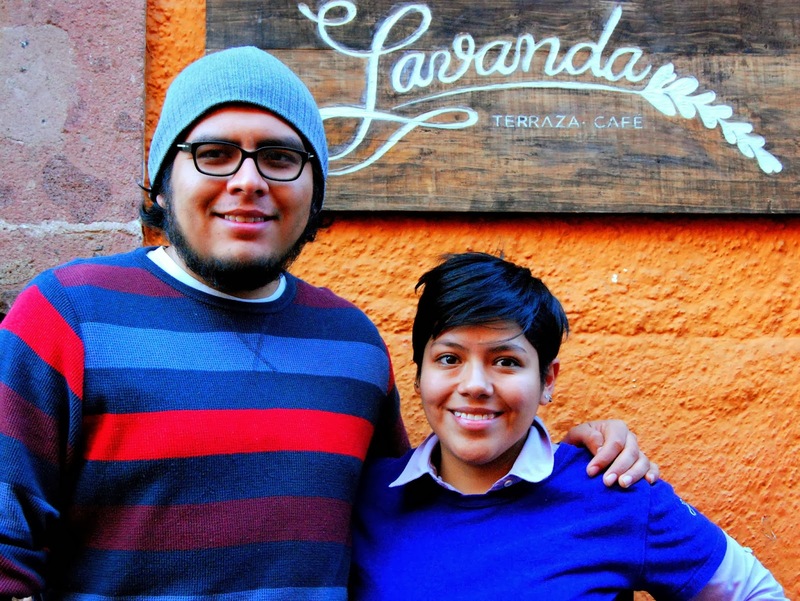 Lavanda was created by Chef Karla and her partner Victor who handles the front of the house. Their passion for food is evident. I love going to a place where I am always surprised by the food but never surprised at how good it is. I love reliability and consistency in a restaurant and Lavanda's got it. Stay tuned for Meal # 8.